Gueuze – Brussels champagne, or Brussels sherry? 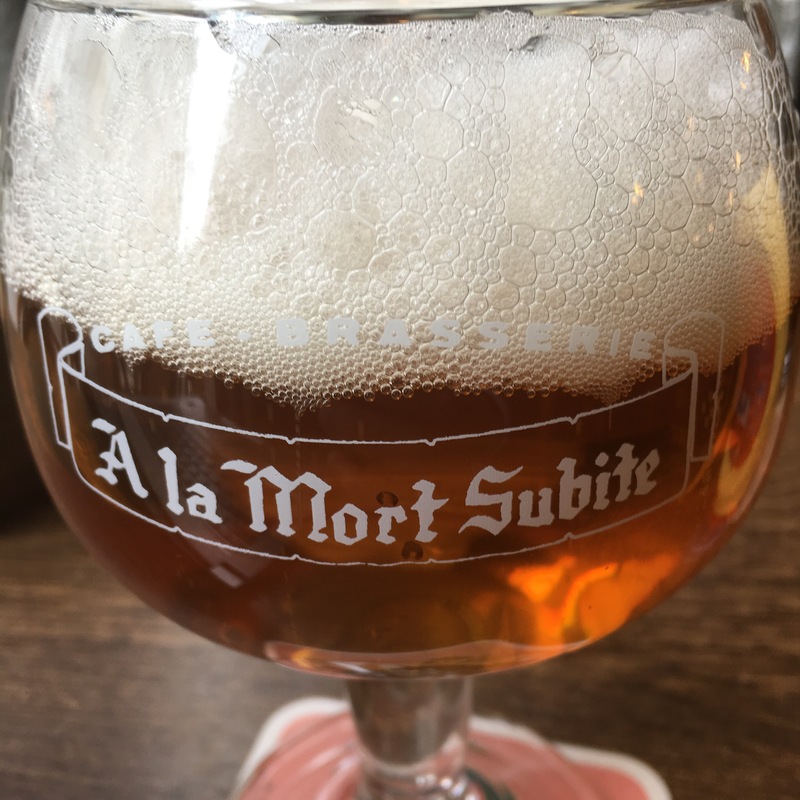 Am allowing myself to post a picture of a glass of gueuze on this site because I reckon it is the sherry of beers. It undergoes second fermentation in the bottle and is sold in champers bottles, and is sometimes referred to as “Brussels champagne”. To be honest I can’t argue with that, but it also strikes me that there are parallels with sherry. First, because like sherry it is delicious and complex in flavour and texture (and I love it). Second, because of the role of natural yeasts in the fermentation of the lambic beers of which it is made. Third, because it is a blend of beers of different age – younger and older lambics. And finally, because it undergoes a second fermentation in the bottle and spends a good time on the lees (cabezuelas) as a result. To be honest, looking at that list I can see the champagne comparison – but in any event it is complex and delicious. If you haven’t tried it I recommend getting stuck in.